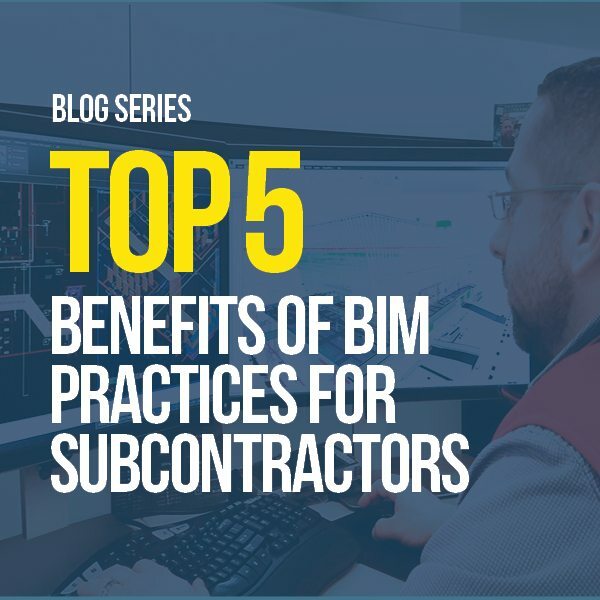 Gaston’s Top 5 Benefits of BIM Practices for Subcontractors. Looking forward to 2018, we begin to take stock of the recent months, and set plans for continuous improvement in the new year. Our goal, as always, is to be proactive in identifying then implementing best practices for all aspects of our business. This applies to everything from field equipment to new software. 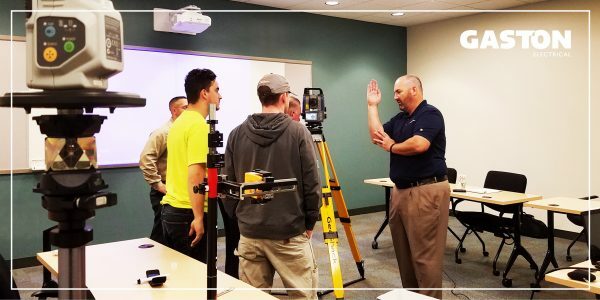 Recent years have proven that the construction industry is accelerating the adoption of new technology like no other time in history. For a company or project to achieve true success in this era, all members of the team must be knowledgeable, skilled, and highly-connected through open communication. Project delivery methods and expectations from Construction Managers have evolved as well, and it is imperative for subcontractors to operate at the leading-edge to meet demand and differentiate themselves from the pack. 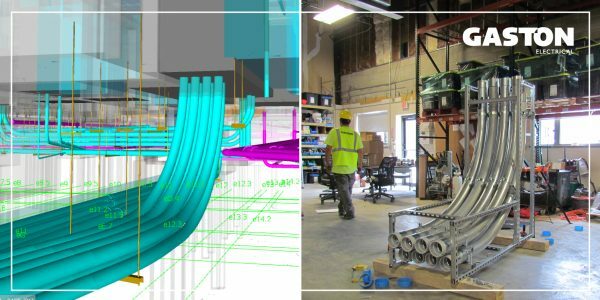 Gaston Electrical embraces Building Information Modeling (BIM) technologies and practices as part of our commitment to continuous improvement. In an accelerated and digital environment, we utilize industry-leading software programs and pre-fabrication practices to deliver increased accuracy and efficiencies on all projects. Autodesk defines BIM as “an intelligent 3D model-based process that gives architecture, engineering, and construction (AEC) professionals the insight and tools to more efficiently plan, design, construct, and manage buildings and infrastructure”. We are proud of our commitment to operate at the forefront of BIM adoption/utilization – and to be viewed as a valued and sophisticated project partner. BIM plays an important role in our daily practices, and its many benefits are evident to our team, and clients alike. The following are Gaston’s Top 5 Benefits of BIM practices for subcontractors. Increased quality of drawings and project workflow – The digital model allows for highly-accurate plans and workflow models to be developed. Teams can then create electrical drawings for shop prefabrication and field installation utilizing the latest Autodesk Software. Reduced requests for information (RFIs) and task rework – By utilizing BIM during coordination phases with the General Contractor, Design Team and other Trades; we can review design flaws in real time and resolve problems without going through the RFI process (which can be costly and timely) – let alone having to revisit a task or phase once the project has begun. Coordinating ahead of time and running clash detection reduces field errors and the likelihood of costly coordination delays once a project is underway. Reduced waste and overall project cost – Coordination and pre-planning allows our prefabrication department to manufacture and prep materials for installation with added accuracy. This high level of coordination significantly reduces waste on the jobsite – often resulting in savings for materials and man-hours alike. 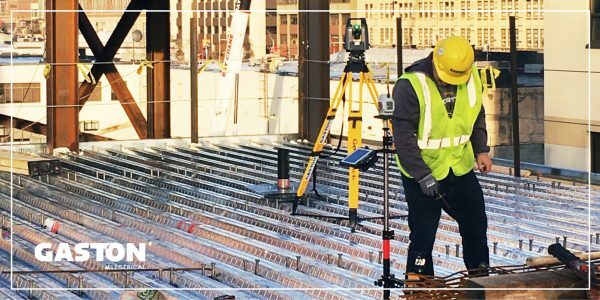 Increased accuracy with virtual inspection – Intense review of digital models (with all involved parties) prior to pre-fabrication and construction is key. All stakeholders must coordinate and run clash detection against other project trades and building structures to ensure the most efficient jobsite and task/phase delivery. Doing so will reduce the likelihood of costly issues on the jobsite. Increased job collaboration – As projects become more complex, and deadlines/expectations are accelerated, teams must establish, and maintain clear lines of communication and collaboration. The role of the electrical contractor is important throughout the entire pre-planning and construction process. It is essential to have a skilled digital design team in place to coordinate with the general contractor and other trades at every step. This will improve decision making processes and overall performance across the lifecycle of the construction delivery process.